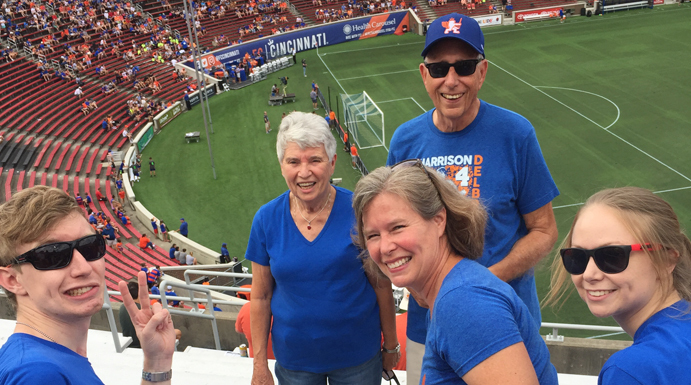 Alumni and students enjoyed a spirited FCC Cincinnati game recently at Nippert Stadium. The rivalry ended with a win for FCC. The 4-3 match was fast-moving and exciting as the score passed back and forth until FCC made the final goal in the 88th minute! !